Burnley have beat three English clubs on signing Nigerian centre-back Udoka Chima on a two-year deal. The 18-year-old defender who joins from a grassroots club in London is among the eleven teenagers recruited to join the Claret youth team for the upcoming season. 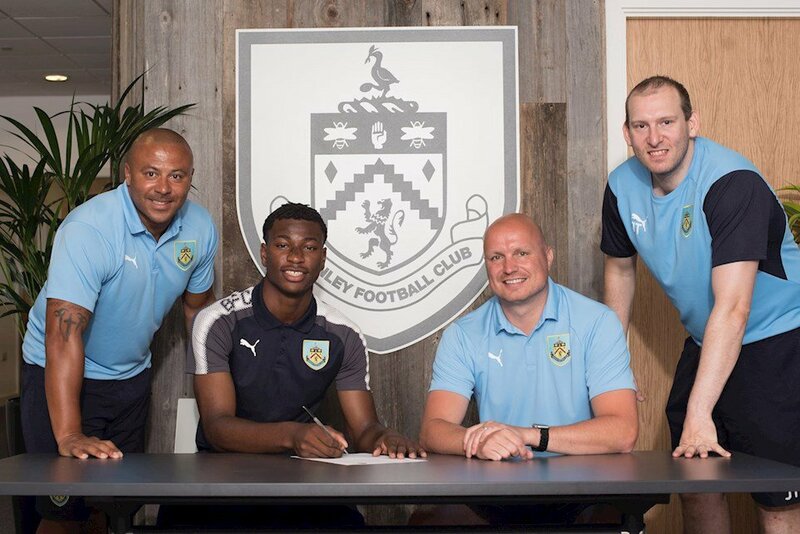 The Premier League side Burnley have confirmed on their official website after snapping the youngers ahead of several clubs, including Coventry City, Norwich City and Luton Town for his signature. The in the recruitment department has worked tremendously hard to bring in a number of players from outside to add to the players who have progressed through our own Academy. “I am looking forward to seeing the players integrate and develop as a group, and hopefully we will see individuals progressing onto the U23 Development Squad at some stage over the course of their scholarship” added Nicky Law. Three players of Nigerian descent Richard Taylor, Tunde Bayode and Ali Koiki played for Burnley’s youth teams this season.